Hello, Part 2 is ready! Check out Part 1, if you haven’t already :). Let’s get started. Method Swizzling is a well-known practice in Objective-C and in other languages that support dynamic method dispatching. 2- What is the difference Non-Escaping and Escaping Closures? Asynchronous execution: If you execute the closure asynchronously on a dispatch queue, the queue will hold onto the closure for you. You have no idea when the closure will be executed and there’s no guarantee it will complete before the function returns. Storage: Storing the closure to a global variable, property, or any other bit of storage that lives on past the function call means the closure has also escaped. 3- Explain [weak self] and [unowned self] ? unowned ( non-strong reference ) does the same as weak with one exception: The variable will not become nil and must not be optional. When you try to access the variable after its instance has been deallocated. That means, you should only use unowned when you are sure, that this variable will never be accessed after the corresponding instance has been deallocated. However, if you don’t want the variable to be weak AND you are sure that it can’t be accessed after the corresponding instance has been deallocated, you can use unowned. By declaring it [weak self] you get to handle the case that it might be nil inside the closure at some point and therefore the variable must be an optional. A case for using [weak self] in an asynchronous network request, is in a view controller where that request is used to populate the view. 4- What is ARC ? ARC is a compile time feature that is Apple’s version of automated memory management. It stands for Automatic Reference Counting. This means that it only frees up memory for objects when there are zero strong references/ to them. B) is properly exposed to Objective-C.
6- What is iOS 11 SDK Features for Developers? Location Permission: A flashing blue status bar anytime an app is collecting your location data in the background. Updated locations permissions that always give the user the ability to choose only to share location while using the app. 7- What makes React Native special for iOS? NSFetchRequest is the class responsible for fetching from Core Data. Fetch requests are both powerful and flexible. You can use fetch requests to fetch a set of objects meeting the provided criteria, individual values and more. The persistent container creates and returns a container, having loaded the store for the application to it. This property is optional since there are legitimate error conditions that could cause the creation of the store to fail. NSFetchedResultsController is a controller, but it’s not a view controller. It has no user interface. Its purpose is to make developers’ lives easier by abstracting away much of the code needed to synchronize a table view with a data source backed by Core Data. Set up an NSFetchedResultsController correctly, and your table will mimic its data source without you have to write more than a few lines of code. 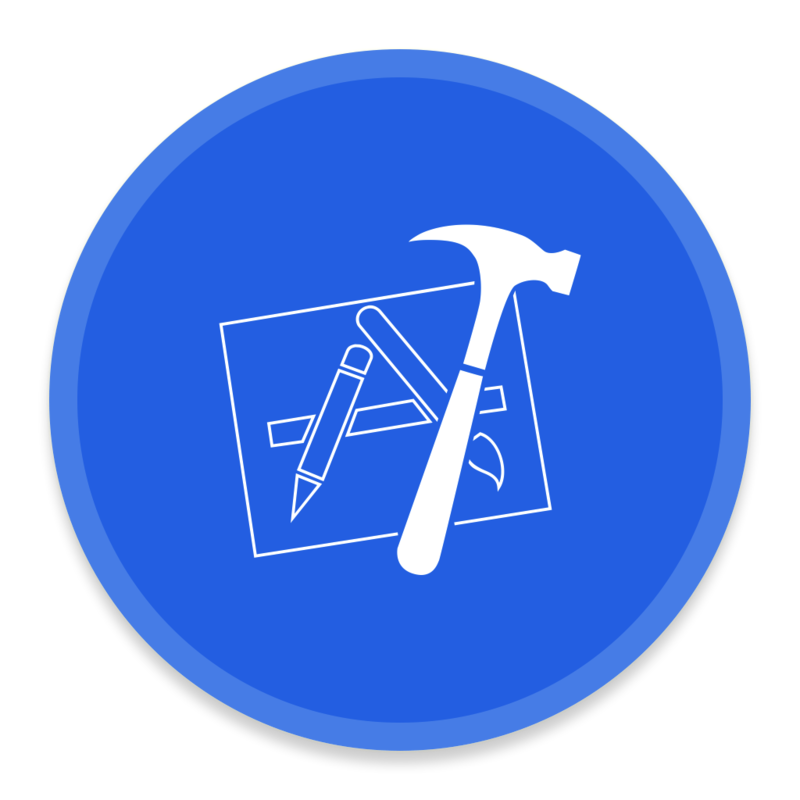 11- What is the three major debugging improvements in Xcode 8? The View Debugger lets us visualize our layouts and see constraint definitions at runtime. Although this has been around since Xcode 6, Xcode 8 introduces some handy new warnings for constraint conflicts and other great convenience features. The Thread Sanitizer is an all new runtime tool in Xcode 8 that alerts you to threading issues — most notably, potential race conditions. The Memory Graph Debugger is also brand new to Xcode 8. It provides visualization of your app’s memory graph at a point in time and flags leaks in the Issue navigator. 12- What is the Test Driven Development of three simple rules? 13- Please explain final keyword into the class? By adding the keyword final in front of the method name, we prevent the method from being overridden. If we can replace the final class keyword with a single word static and get the same behavior. 14- What does Yak Shaving mean? Yak shaving is a programming term that refers to a series of tasks that need to be performed before a project can progress to its next milestone. 15- What is the difference open & public access level? I recommend reading the Swift language guide chapter on access control. public only allows other modules to use the public classes and the public members. Public classes can no longer be subclassed, nor public members can be overridden. 16- What is the difference fileprivate, private and public private(set) access level ? fileprivate is accessible within the current file, private is accessible within the current declaration. public private(set) means getter is public, but the setter is private. 17- What is Internal access ? Internal access enables entities to be used within any source file from their defining module, but not in any source file outside of the module. Internal access is the default level of access. So even though we haven’t been writing any access control specifiers in our code, our code has been at an internal level by default. 18- What is the difference between BDD and TDD? The main difference between BDD and TDD is the fact that BDD test cases can be read by non-engineers, which can be very useful in teams. iOS I prefer Quick BDD framework and its “matcher framework,” called Nimble. 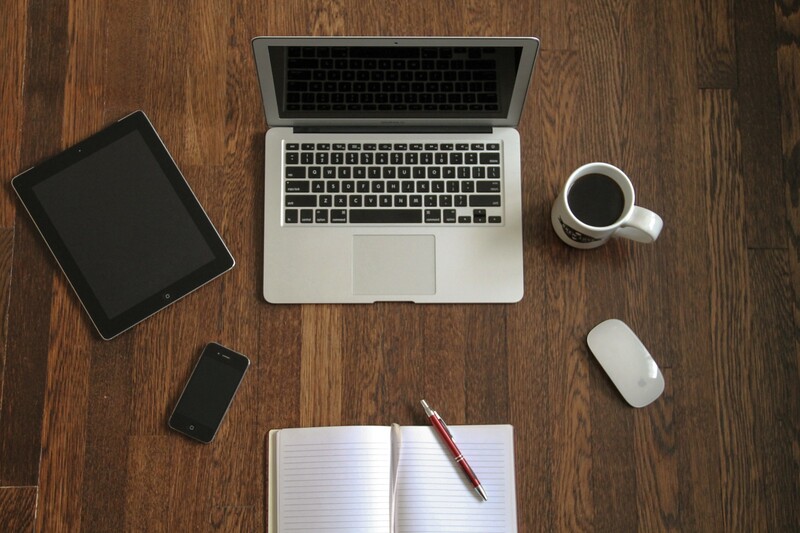 20- What is the benefit of writing tests in iOS apps? Good tests serve as great documentation of expected behavior. It gives us confidence to constantly refactor our code because we know that if we break anything our tests fail. If tests are hard to write its usually a sign architecture could be improved. Following RGR ( Red — Green — Refactor ) helps you make improvements early on. 21- What is five essential practical guidelines to improve your typographic quality of mobile product designs? 1. Start by choosing your body text typeface. 2. Try to avoid mixing typefaces. 3. Watch your line length. 4. Balance line height and point size. 5. Use proper Apostrophes and Dashes. When we defined a variable as optional, then to get the value from this variable, we will have to unwrap it. This just means putting an exclamation mark at the end of the variable. The example of the implicitly unwrapped optional type is the IBOutlets we created for your view controller. We have to use Forced Unwrapping when we know an optional has a value. 23- How to educate app with Context? 24- What is bitcode ? Bitcode refers to to the type of code: “LLVM Bitcode” that is sent to iTunes Connect. This allows Apple to use certain calculations to re-optimize apps further (e.g: possibly downsize executable sizes). If Apple needs to alter your executable then they can do this without a new build being uploaded. 25- Explain Swift Standard Library Protocol ? There are a few different protocol. Equatable protocol, that governs how we can distinguish between two instances of the same type. That means we can analyze. If we have a specific value is in our array. The comparable protocol, to compare two instances of the same type and sequence protocol: prefix(while:) and drop(while:) [SE-0045]. Swift 4 introduces a new Codable protocol that lets us serialize and deserialize custom data types without writing any special code. 26- What is the difference SVN and Git ? SVN relies on a centralised system for version management. It’s a central repository where working copies are generated and a network connection is required for access. Git relies on a distributed system for version management. You will have a local repository on which you can work, with a network connection only required to synchronise. 27- What is the difference CollectionViews & TableViews? TableViews display a list of items, in a single column, a vertical fashion, and limited to vertical or horizontal scrolling only. CollectionViews also display a list of items, however, they can have multiple columns and rows. 28- What is Alamofire doing? Alamofire uses URL Loading System in the background, so it does integrate well with the Apple-provided mechanisms for all the network development. This means, It provides chainable request/response methods, JSON parameter and response serialization, authentication, and many other features. It has thread mechanics and executes requests on a background thread and call completion blocks on the main thread. 29- REST, HTTP, JSON — What’s that? GET: Used to retrieve data, such as a web page, but doesn’t alter any data on the server. HEAD: Identical to GET but only sends back the headers and none of the actual data. POST: Used to send data to the server, commonly used when filling a form and clicking submit. PUT: Used to send data to the specific location provided. DELETE: Deletes data from the specific location provided. REST, or REpresentational State Transfer, is a set of rules for designing consistent, easy-to-use and maintainable web APIs. 30- What problems does delegation solve? 31- What is the major purposes of Frameworks? You can share your framework with your other apps, team members, or the iOS community. 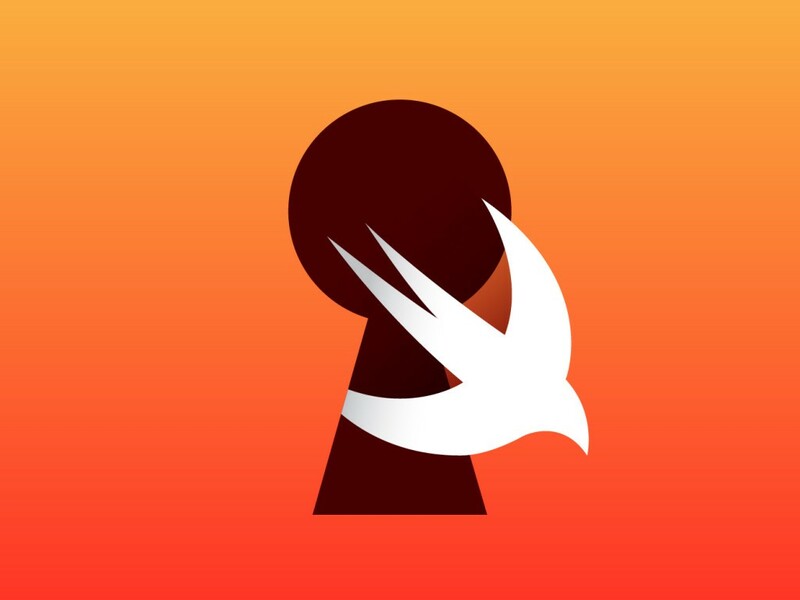 When combined with Swift’s access control, frameworks help define strong, testable interfaces between code modules. The Swift Package Manager only supports using the master branch. Swift Package Manager now supports packages with Swift, C, C++ and Objective-C.
33- What is the difference between a delegate and an NSNotification? Delegates and NSNotifications can be used to accomplish nearly the same functionality. However, delegates are one-to-one while NSNotifications are one-to-many. Siri service needs to communicate Apple Servers. 35- Why do we use a delegate pattern to be notified of the text field’s events? Because at most only a single object needs to know about the event. 36- How is an inout parameter different from a regular parameter? A Inout passes by reference while a regular parameter passes by value. 37- Explain View Controller Lifecycle events order? Creates the view that the controller manages. It’s only called when the view controller is created and only when done programatically. It is responsible for making the view property exist in the first place. Called after the controller’s view is loaded into memory. It’s only called when the view is created. It’s called whenever the view is presented on the screen. In this step the view has bounds defined but the orientation is not applied. Called to notify the view controller that its view has just laid out its subviews. Make additional changes here after the view lays out its subviews. Before the transition to the next view controller happens and the origin view controller gets removed from screen, this method gets called. After a view controller gets removed from the screen, this method gets called. You usually override this method to stop tasks that are should not run while a view controller is not on screen. When the interface orientation changes, UIKit calls this method on the window’s root view controller before the size changes are about to be made. The root view controller then notifies its child view controllers, propagating the message throughout the view controller hierarchy. 38- What is the difference between LLVM and Clang? Clang is the front end of LLVM tool chain ( “clang” C Language Family Frontend for LLVM ). Every Compiler has three parts . Front end ( Clang ) takes the source code and generates abstract syntax tree ( LLVM IR ). 39- What is Class ? A class is meant to define an object and how it works. In this way, a class is like a blueprint of an object. The @interface in Objective-C has nothing to do with Java interfaces. It simply declares a public interface of a class, its public API. 42- When and why do we use an object as opposed to a struct? Structs are value types. Classes(Objects) are reference types. UIStackView provides a way to layout a series of views horizontally or vertically. We can define how the contained views adjust themselves to the available space. Don’t miss this article. 44- What are the states of an iOS App? Non-running — The app is not running. Inactive — The app is running in the foreground, but not receiving events. An iOS app can be placed into an inactive state, for example, when a call or SMS message is received. Active — The app is running in the foreground, and receiving events. Background — The app is running in the background, and executing code. Suspended — The app is in the background, but no code is being executed. 45- What are the most important application delegate methods a developer should handle? Method called when the launch process is initiated. This is the first opportunity to execute any code within the app. Method called when the launch process is nearly complete. Since this method is called is before any of the app’s windows are displayed, it is the last opportunity to prepare the interface and make any final adjustments. Once the application has become active, the application delegate will receive a callback notification message via the method applicationDidBecomeActive. This method is also called each time the app returns to an active state from a previous switch to inactive from a resulting phone call or SMS. There are several conditions that will spawn the applicationWillResignActive method. Each time a temporary event, such as a phone call, happens this method gets called. It is also important to note that “quitting” an iOS app does not terminate the processes, but rather moves the app to the background. This method is called when an iOS app is running, but no longer in the foreground. In other words, the user interface is not currently being displayed. According to Apple’s UIApplicationDelegate Protocol Reference, the app has approximately five seconds to perform tasks and return. If the method does not return within five seconds, the application is terminated. This method is called as an app is preparing to move from the background to the foreground. The app, however, is not moved into an active state without the applicationDidBecomeActive method being called. This method gives a developer the opportunity to re-establish the settings of the previous running state before the app becomes active. This method notifies your application delegate when a termination event has been triggered. Hitting the home button no longer quits the application. Force quitting the iOS app, or shutting down the device triggers the applicationWillTerminate method. This is an opportunity to save the application configuration, settings, and user preferences. 46- What is the difference between property and instance variable? A property is a more abstract concept. An instance variable is literally just a storage slot, as a slot in a struct. Normally other objects are never supposed to access them directly. Usually, a property will return or set an instance variable, but it could use data from several or none at all. 47- How can we add UIKit for Swift Package Manager? Swift Package Manager is not supporting UIKit. We can create File Template or Framework for other projects. SDK is a set of software development tools. This set is used for the creation of applications. A framework is basically a platform which is used for developing software applications. It provides the necessary foundation on which the programs can be developed for a specific platform. SDK and Framework complement each other, and SDKs are available for frameworks. When we’re casting an object to another type in Objective-C, it’s pretty simple since there’s only one way to do it. In Swift, though, there are two ways to cast — one that’s safe and one that’s not. as! used to force casting, crash if failed. should only be used when we know the downcast will succeed. Using a labeled statement, we can specify which control structure we want to break no matter how deeply you nest our loops. This also works with continue. If we have a complex structure that contains nested for loops, a labeled statement will allow us to break from an outer loop and continue on with the execution of the method. Part 3 is ready and waiting to be bitten. :) here you are. That’s it. 😃😃😃 Thanks for reading. You can check my previous article here.